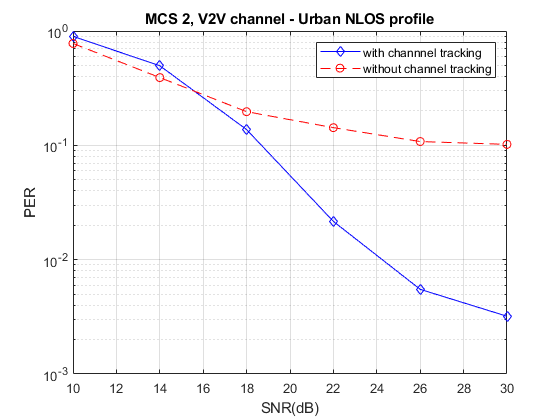 WLAN Toolbox™ provides functions that let you model end-to-end communication links. 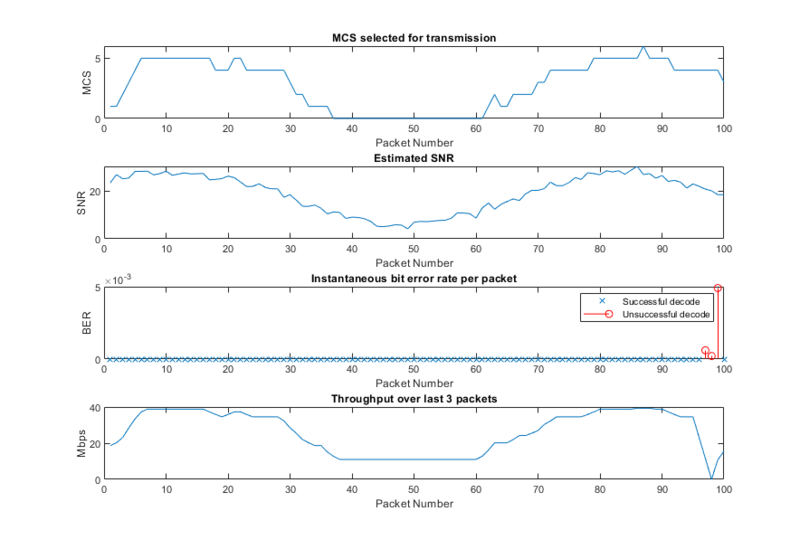 The examples featured here demonstrate modeling end-to-end communication links and analyzing link performance. 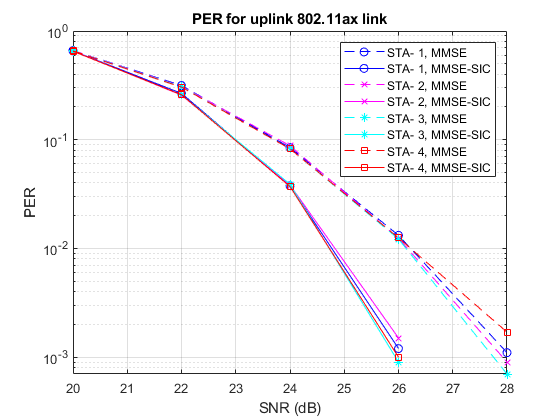 Measure the packet error rate of an IEEE® 802.11ax™ high efficiency (HE) uplink, trigger-based (TB) format. 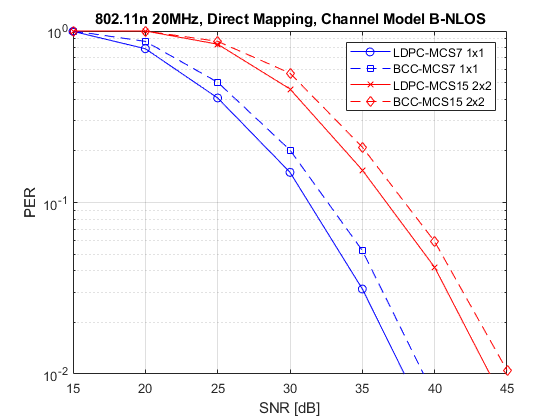 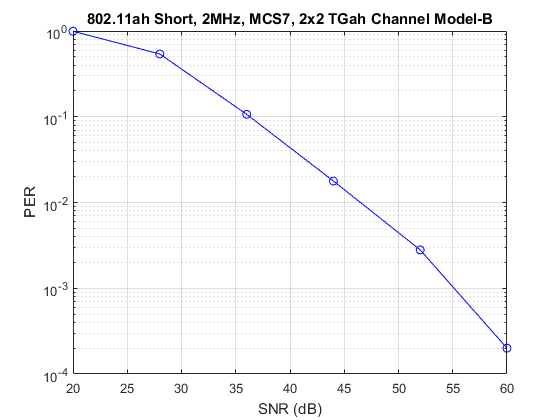 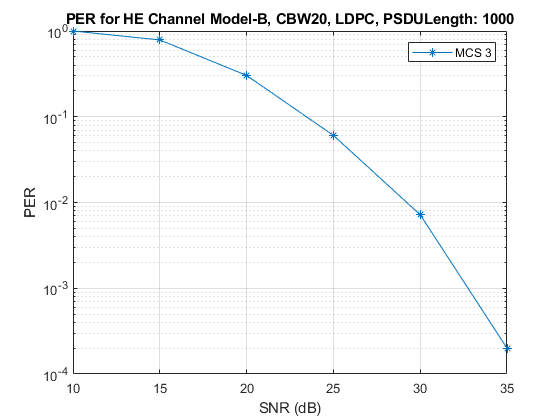 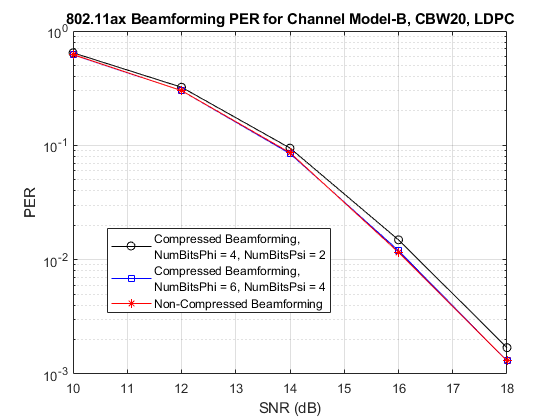 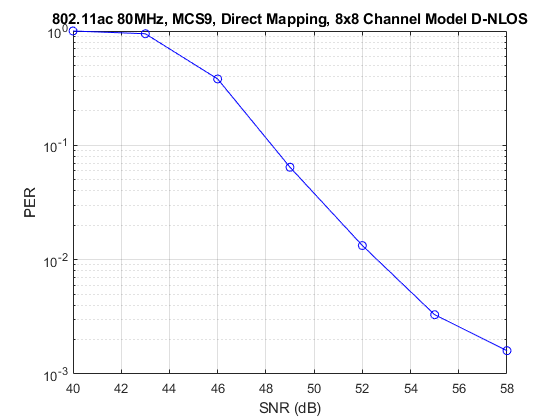 Measure the packet error rate of a beamformed IEEE® 802.11ax™ high efficiency single user (HE-SU) format link with different beamforming feedback quantization levels. 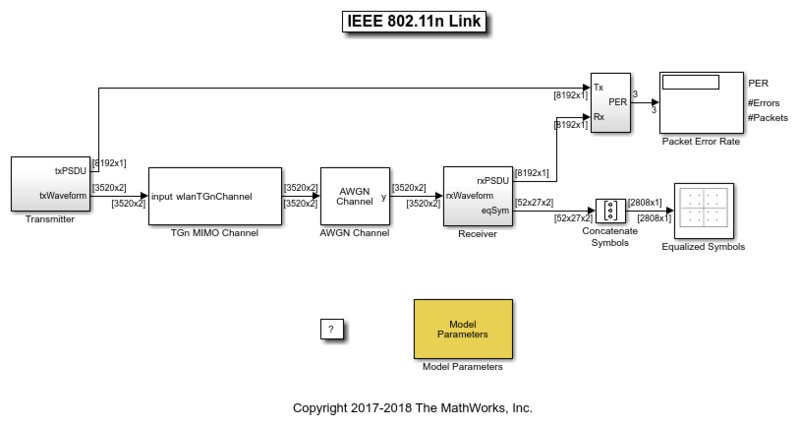 Measure the packet error rate of an IEEE® 802.11ad™ DMG control PHY AWGN link using an end-to-end simulation. 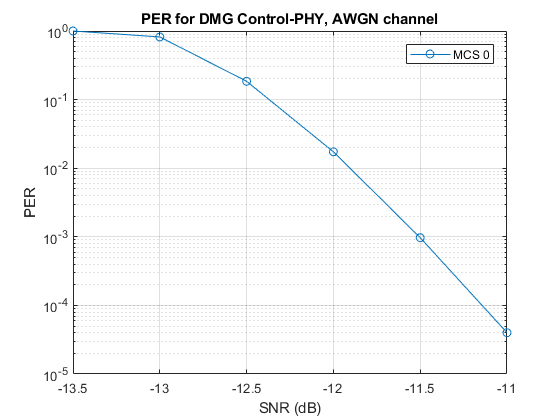 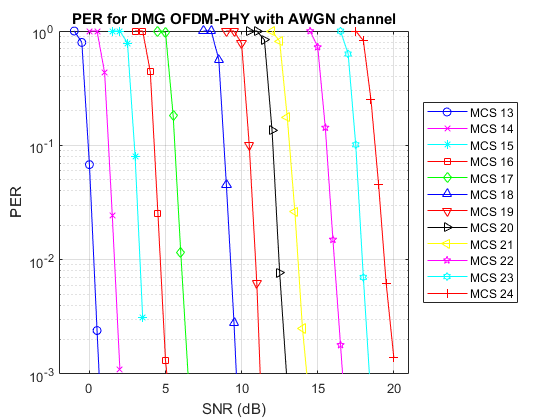 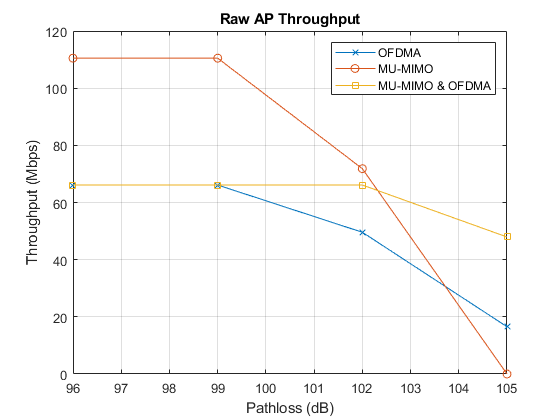 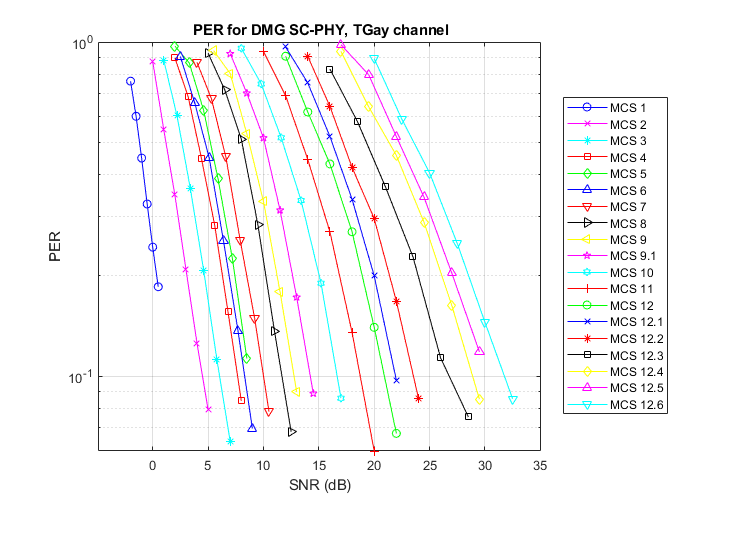 Measure the packet error rate of an IEEE® 802.11ad™ DMG OFDM PHY link using an end-to-end simulation with an AWGN channel. 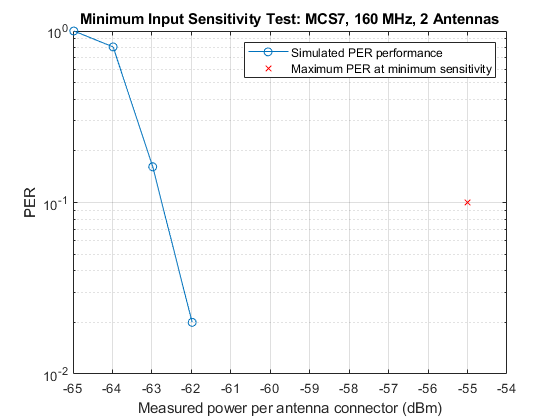 Simulate a test to measure the receiver minimum input sensitivity as specified in Section 22.3.19.1 of the IEEE® 802.11ac™ standard [ 1 ].